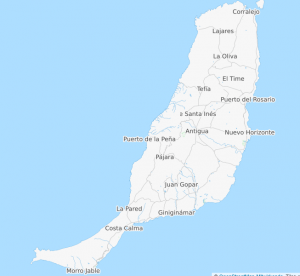 Fuerteventura, also known as the “Island of Eternal Spring”, is located about 100 km off the African coast in the Atlantic Ocean and is the oldest of the seven Canary Islands. Created millions of years ago from volcanoes, this jewel of Spain impresses with over 150 km of white sandy beaches, turquoise waters and bizarre, endless volcanic landscapes. The unique flora and fauna on Fuerteventura captivates every visitor and will not let you go! Whether hiking, biking, kiting, surfing, buggy driving, sailing or just lying on the beach and relax – Fuerteventura offers something for everyone! No wonder the island has become one of the most popular surfing spots in the world in recent decades. 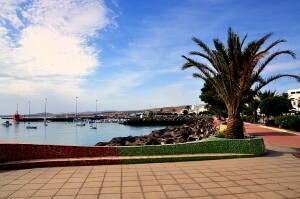 Even world championships are held here and give cities such as Corralejo their very own flair! The nightlife in the bars and on the beach promenade is legendary and invites you to dance and party. Those who prefer to take it easy can find on Fuerteventura a well-developed network of walking and cycle paths, that allows you to reach almost every corner of the island. Of course you can also choose from a variety of excursions on water here. Cultural activities are also offered by museums, concerts and theaters to spend unique holiday evenings. 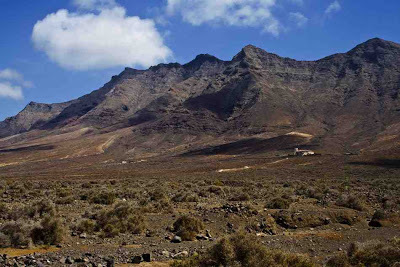 The highest mountain of Fuerteventura, the Pico de la Zarza, lies in the south on the peninsula Jandía and is 807 meters high. It is the remnant of a volcano that rose from the sea 21 million years ago, which crater rim slipped off about 14 million years ago, leaving behind the present crescent-shaped Jandía massif. Let yourself be enchanted by the wildness and beauty of this island and immerse yourself in a world full of wonder and adventure – Welcome to Fuerteventura!